Wanstead Birder: Oh My God, More Birds!!! Much more of this and people will think they have stumbled upon a birding blog.... I would however like to point out that my fascist rant about Raymond the Unworthy drew the most comments I have ever had on a single post, ie way more than I have ever had about anything bird related. Therein lies a lesson I suspect, but anyway, it is time to move on. Who cares what you assign it as? Quality. Not to worry, as soon the Crossbill came in and demonstrated to one and all why it had been picked out. The beak was immense, though not monumental - I guess there is a lot of variation - but the bird itself was extremely chunky, noticeably larger than the Common Crossbills it was associating with. Tick, I think. Crossbills are a funny one - I've seen large-billed Crossbills in the Caledonian pine forests, and without much thought bunged them down as Scottish, for no other reason than I felt they were commoner than Parrot, hence I was being conservative. Ahem. In reality, whilst perhaps not approaching the minefield that is Redpoll speciation, they are indistinct enough to probably not be doable in the field, so who knows what I saw. 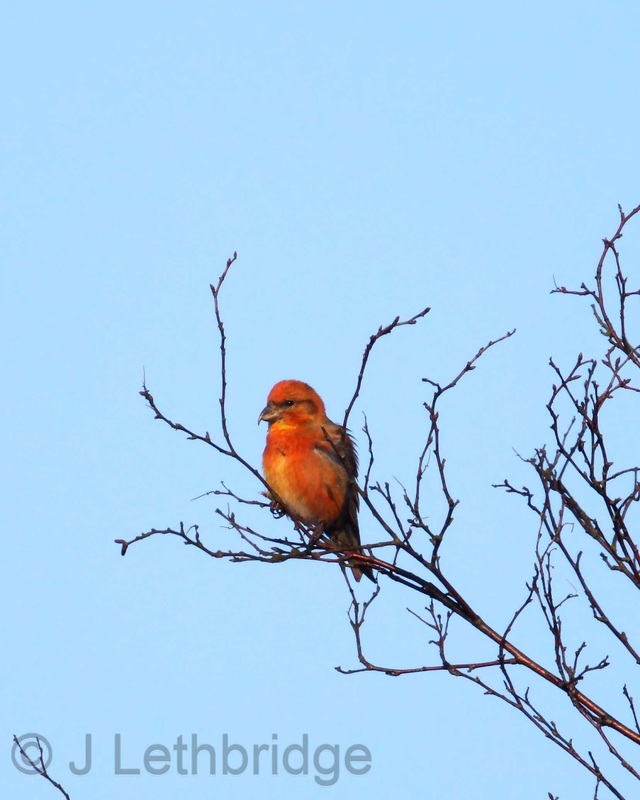 Does Scottish Crossbill travel? 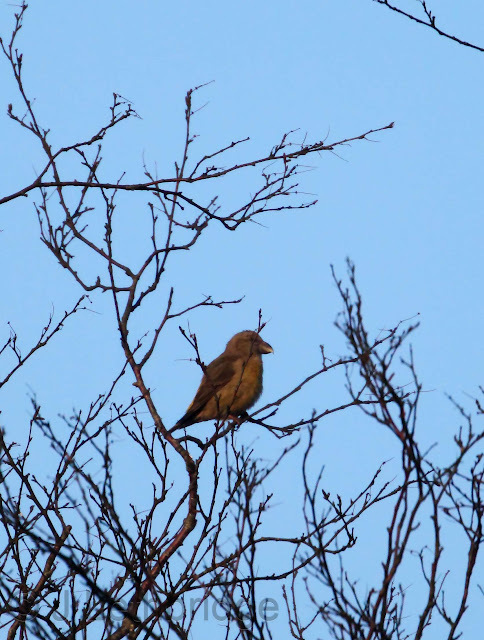 Are any large-billed Crossbills away from Abernethy automatically Parrot? Pass. I have no idea. Call it Parrot as that's the one I need, job's a goodun. Some Geese. About 3 was the general concensus. With numb toes we walked back to the car. Whoever said it was 3/4 of a mile probably runs a marathon in about half an hour. More like about 1/4 of a mile. I did not complain. A roadside bacon butty van was much appreciated, and we were soon a Pagham Harbour wondering why we were there. We had no chance, none. As we quietly froze, word came down from up the line that the Paddyfield had been seen at the far side of the reed bed. I don't mind admitting that I totally rubbished this notion as pure fantasy, and continued enjoying the Stonechats. A little while later, the same call was made. Whatever. We did however shuffle up to where these calls were coming from, though with little expectation. The location was described, and in fact was a lot closer than we had originally understood. Weeeeeellll, maybe then. And then Bradders called it out, mere yards from where the poor and much-maligned original spotter had said it was. Whoever you are, I apologise profusely. 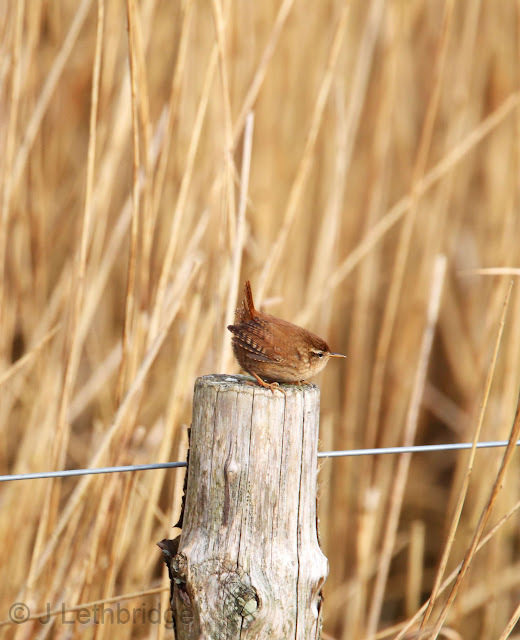 It wasn't actually in reeds at all, it was grubbing about in the grass. Get. In. Wow, a two tick day, who would have thought it? Great and fairly prolonged scope views were had by all, and then, with thoughts of the immense carpeting of snow due any minute (just looked outside again, still rubbish), we headed for home. I have saved the best bit 'til last. On the way back I made Bradders stop at the Basin. 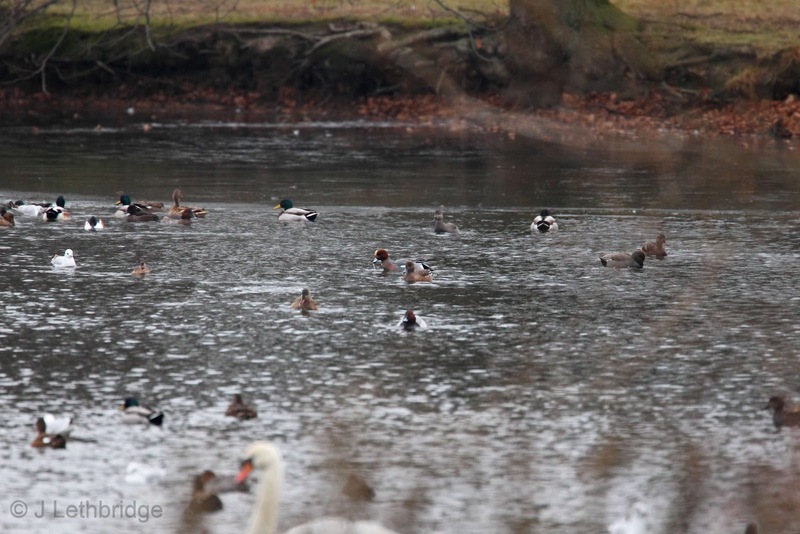 It's mostly frozen now, and was crammed with wildfowl. And what was there? Two Wigeon? Three Wigeon? Four? No!! Five Wigeon!! Yes, FIVE Wigeon. That's a flock! Superb stuff! 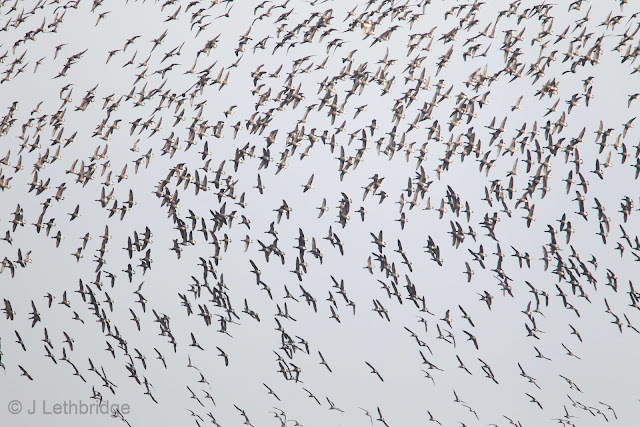 A great account and what a good quality list of birds there and some nice shots.